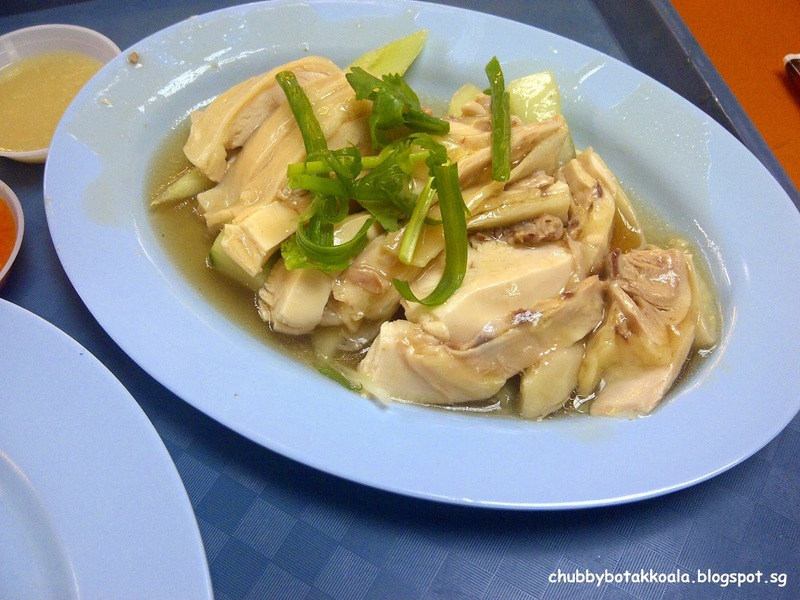 Bak Kut Teh ('BKT'), one of the favourite foods in Singapore and it is one of the most subjective. You can ask any 10 persons in the street which is the best BKT in Singapore, my bet is that you will have 10 different answers. 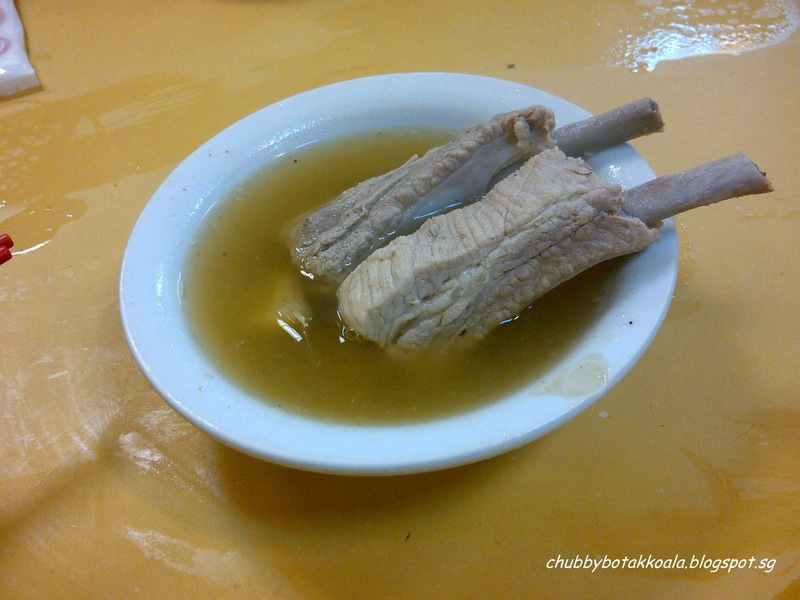 So why is this simple bowl of soup with pork ribs able to divide the nation's opinion? Because it can. Firstly, there is difference in the soup base which is the Singapore style (peppery broth) and the Malaysian style (herbal broth). Then it is the diversion of whom serve the best of which style. For a personal preference, I had prefer the Singapore style because as simple and innocent as it looks, once you sip the clear broth, you can feel the deeper taste of spices at work. The sweet and peppery broth that provide the warmth, comfort and satisfying feeling in you, one of the best comfort food you can find. 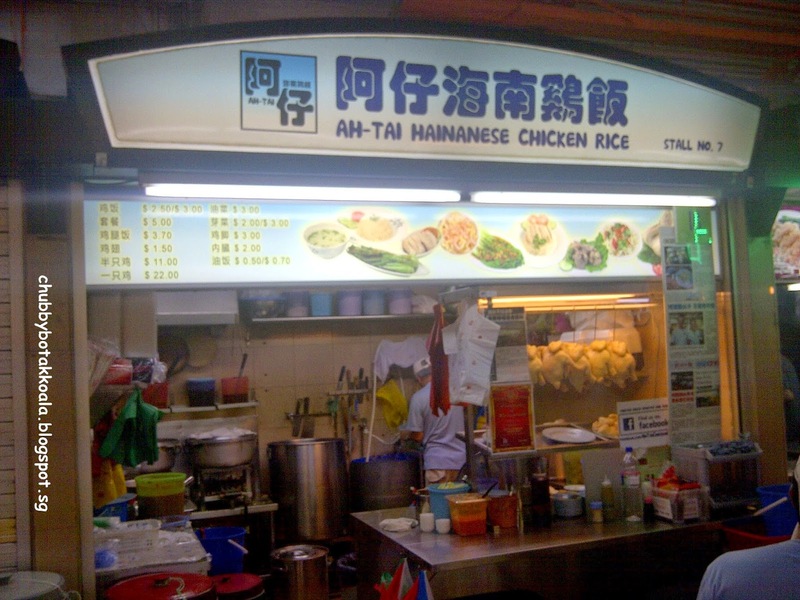 In 2011, the judges of Singapore Hawker Masters can't decide which is the best BKT in Singapore, so they have to re-judge this category again in 2012. 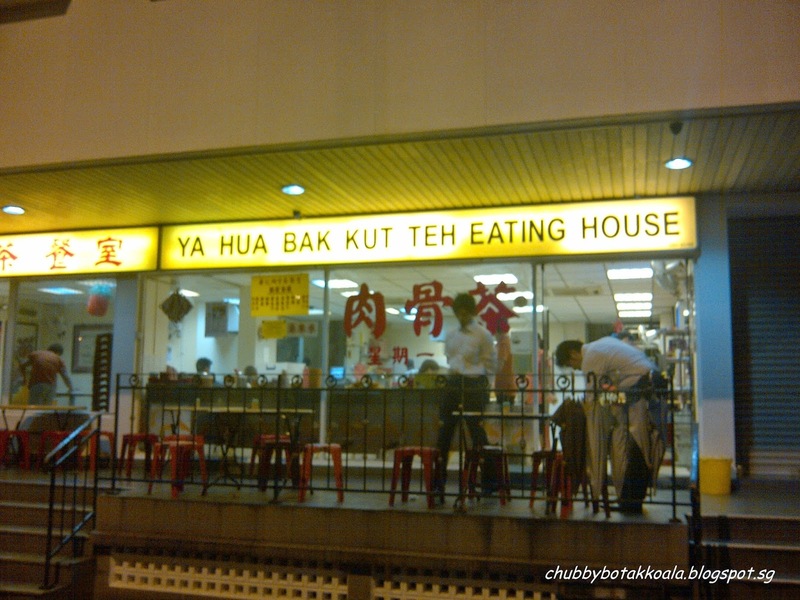 Luckily this time around they can make up their mind and awarded Madam Gwee Peck Hwa the owner of Ya Hua Bak Kut Teh in Havelock Road as the winner. Located in Havelock Road opposite, Holiday Inn Atrium, the outside the shop look like a traditional coffee shop. Foldable round and square table with red plastic chair is the main theme of the decoration here for indoor and outdoor. The plus points of this place is that it is air conditioned for the indoor and there are ample parking spaces around the establishment. So is it actually that good? Lets just say that after I get to know Ya Hua BKT establishment in 2002, this place has been our favourite night BKT place. Safe to say that this review is a culmination of those frequent visits. We ordered the Prime rib BKT - $9 for 2 pieces, Liver and Kidney soup $7.50, Fritter Dough $1.50 and Mushroom Soup $7.50. You might not see the prime rib BKT on the menu as they never upgrade their menu, but just ask the waiter, and you shall be given. First, THE Prime Rib BKT (also known as pork riblets). It looks very simple with a hot pipping soup. When we take the first sip of the broth, you will taste the robust peppery soup with the sweetness of from the pork and a little garlic flavour. Yummyyy! It taste refreshing, comforting and warmth of the pepper as the broth makes it way from your mouth to your tummy. Maybe this is Singapore hawker answer to consommé. The pork has a perfect balance of meat and fat, which create a perfect tenderness of the meat that you bite into it. Others like to dip their meat into dark soya sauce and fresh cut chilli, I like mine the way it is. The fritter dough (you tiao) here is smaller and firmer version, different from those you tiao that you buy for breakfast. The reason for this is that even if you let it soak in your broth and absorb all the goodness of those BKT soup, the you tiao will not go mushy and disintegrate. It will maintain its shape even after we leave it inside to absorb the goodness of the soup. 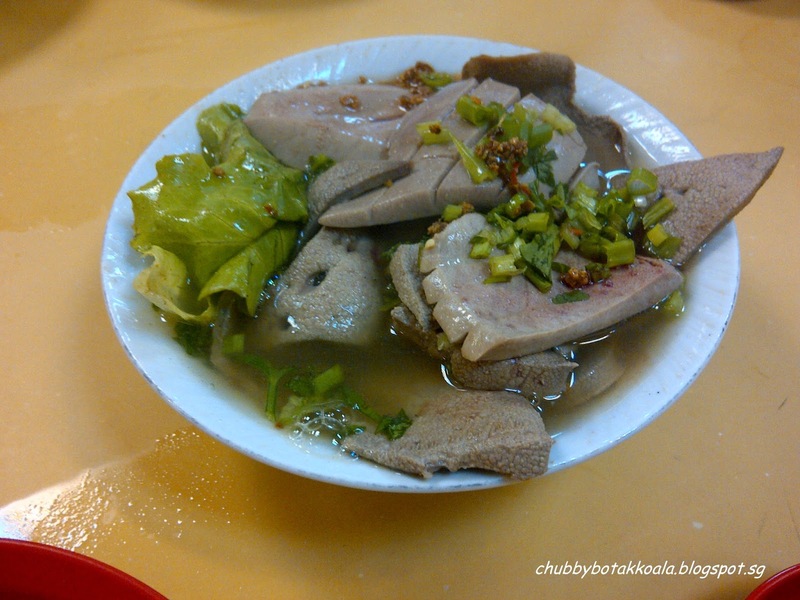 The liver and kidney in the soup is generously cut and clean properly. The best part, it was cook to perfection, and you can see it as a kidney and liver a bit pink, but this is at its most juicy and tender. Served with fried garlic, spring onion and lettuce. 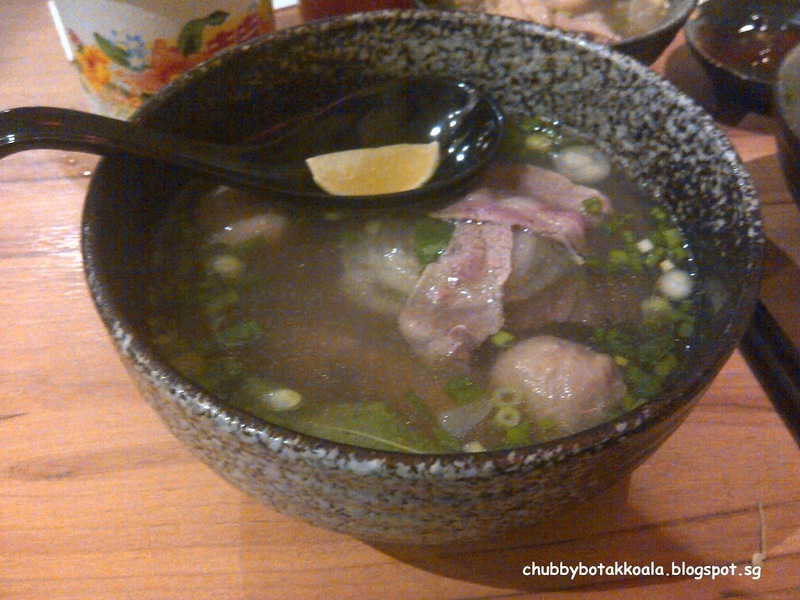 The broth use in this dishes and other dishes without the pork ribs is lighter and not as robust as the BKT broth. For those who are like my wife that simply loves button mushrooms and black seaweed, you can give this soup a try. 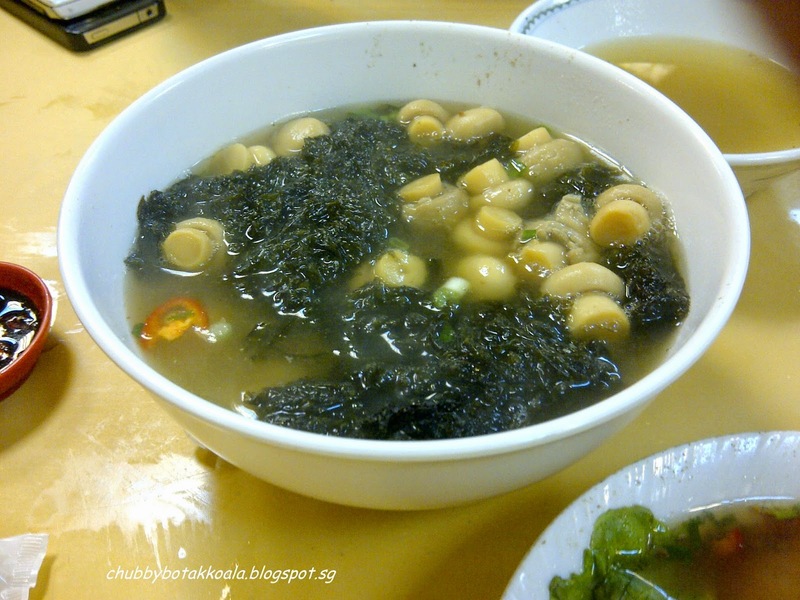 The canned button mushrooms is very 'Q' / crunchy and the black seaweed not only nice but also good for your health. Overall, it is a no frill no fuss establishment. The BKT are among the best in Singapore. Although I find their Keppel branch taste slightly better, the air conditioned and ample parking space here make it my preferred destination. I'll be back for more definitely !!! For a foodies like me and my wife, when we travel anywhere, we will always go and try the local dishes. As we have been to Beijing quite often, we are quite familiar with the Northern China dishes and we sometimes get cravings when we have been to Beijing for a while. Located in Mosque street Chinatown, this restaurant has a simple decoration with a few square tables to sit up to 4 people and round tables that can seat 6 to 8 people. It seems more like air conditioned coffee shop than a restaurant. Service is very minimum, you just tick your order on the order sheet and pass it to the waiter when you're ready. Here is the catch, the order form is only in Chinese, but not to worry, for people who can't read Chinese like me, they have English translated menu just tick on the corresponding number. They also have some menu with pictures, but it does not cover their one hundred dishes. To start we ordered Mung Bean Jelly with Ma La (numb spicy) sauce cold dish ($6) The sauce is called Ma La because it is made from Sichuan peppercorns which give a spicy numbing sensation. It is more peppery spicy then chilli spicy. 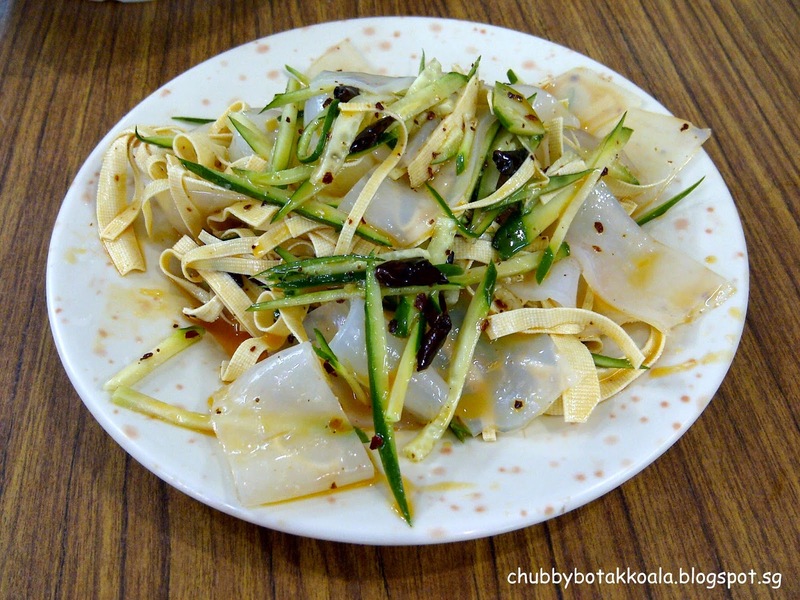 The cold bean jelly noodle that looks like thick hor fun but with more springy texture of the goes well with the Ma La sauce is a good way to kick start your appetite. 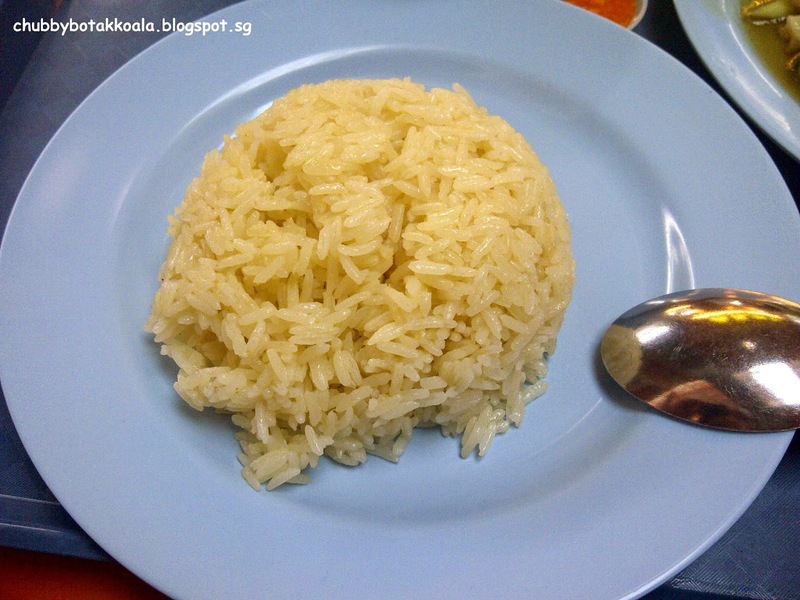 However, comparing to the standard in Beijing, this dish is very much pale in comparison. Next come Tomato and Egg Soup ($5). This is a simple and refreshing soup dish. 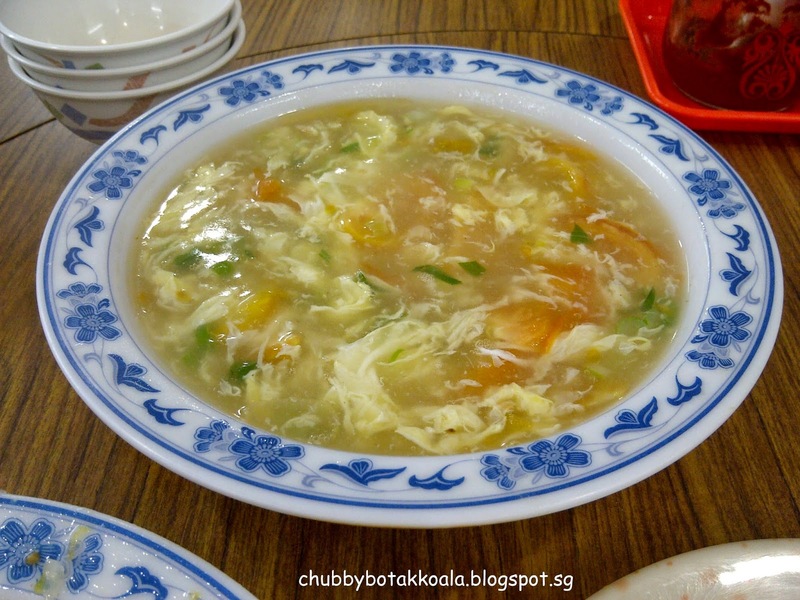 The sweet and sour of the tomato combine with the smoothness of the egg soup really warms up your tummy. 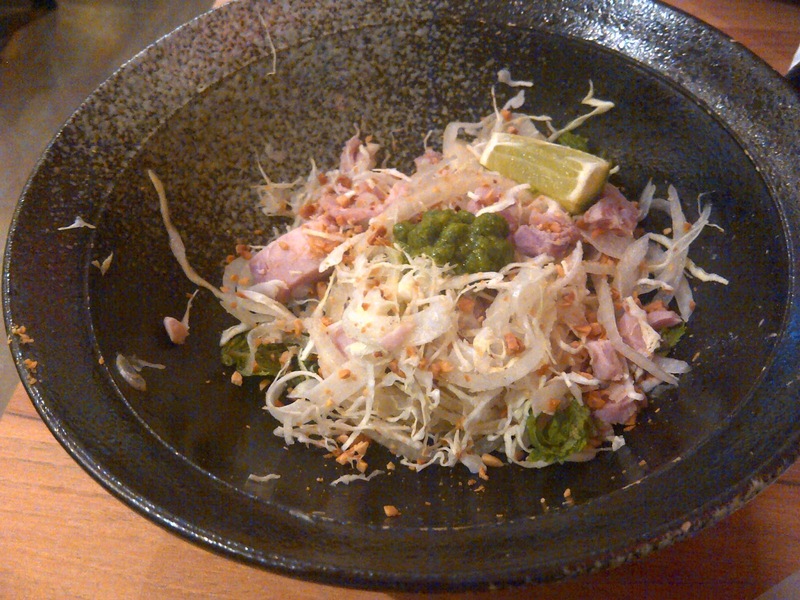 Following the soup is Pickled cabbage with streaky pork stew ($12). It looks more like a clear thick soup instead of stew. The sourness of the pickled cabbage cuts through fatty pork belly and create an appetising dish. For those who don't like fatty things, you might want to avoid this. 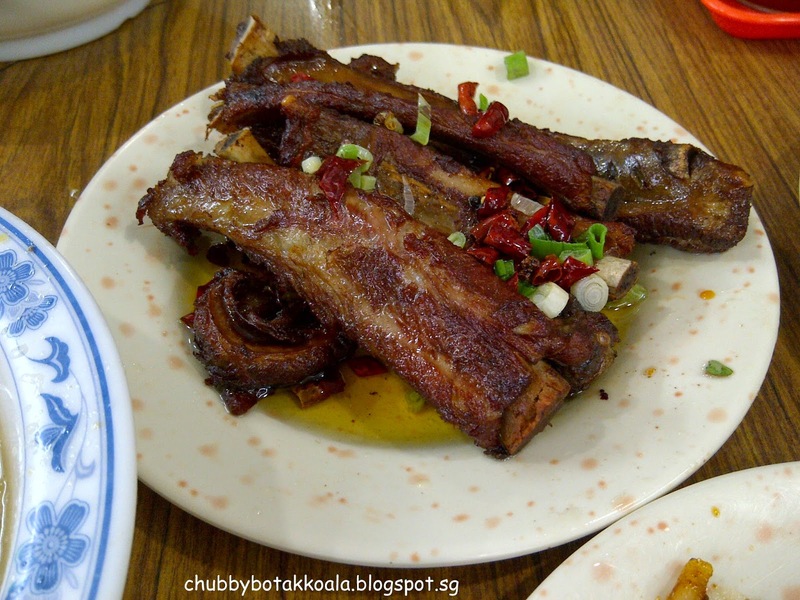 For protein, we ordered Pork Ribs ($15) and Stir Fry Sliced Mutton in Cumin sauce ($14). Both this dish is actually quite similar in the marinating process. The both have a strong smell of cumin, which is also commonly use in the Chinese Kebab (satay). 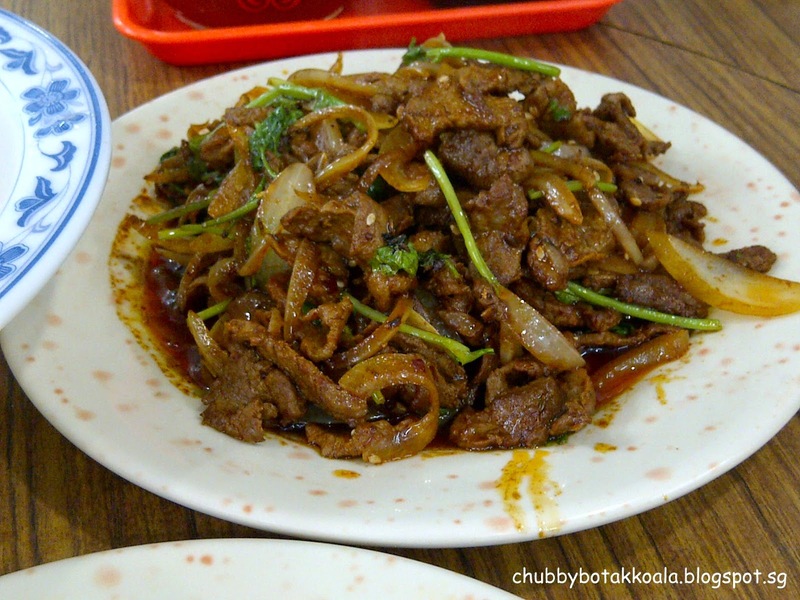 The sliced mutton is just a quick stir fry of mutton slices with onions. While the jumbo ribs is quickly deep fried and stew. Both meat are tender but heavy on seasoning and flavour. 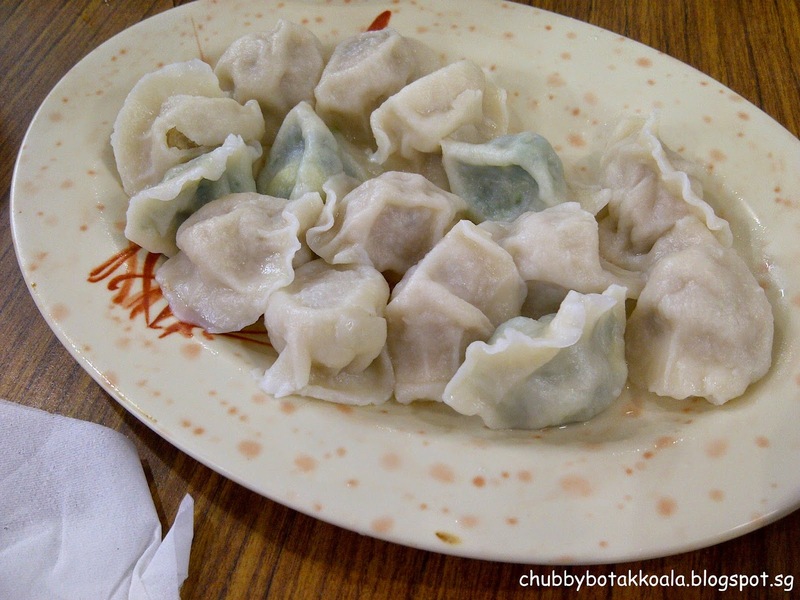 Finally, the dish that we have craving for, dumpling (or jiǎozi). We ordered the traditional chinese cabbage with pork fillings ($6) and chives with egg ($8). A good jiǎozi skin must be al dente, springy and not easily break to protect the fillings inside. If the skins are good, you can put any fillings, it will just taste great. And the jiǎozi here does not disappoint, all the criteria above are met. 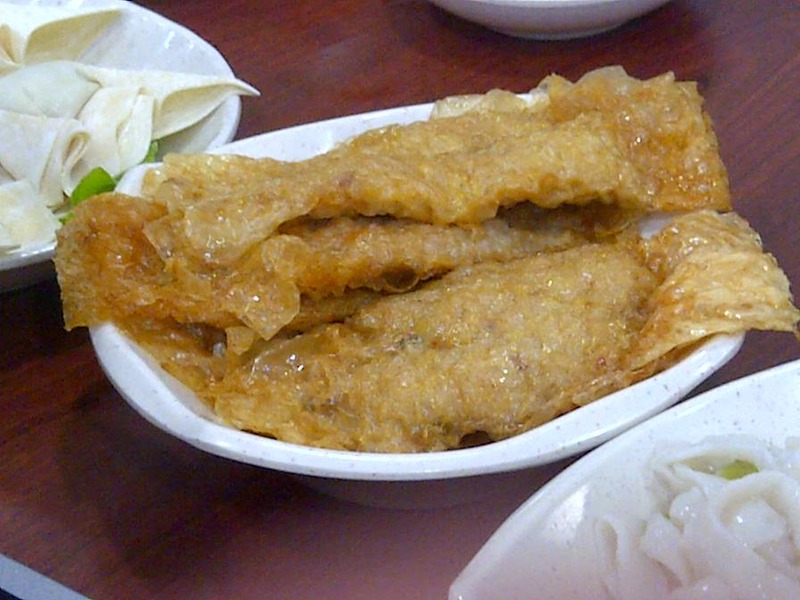 If you never have jiǎozi before, start with the cabbage and pork fillings as the taste is more neutral, while the chives with egg has a stronger flavour. 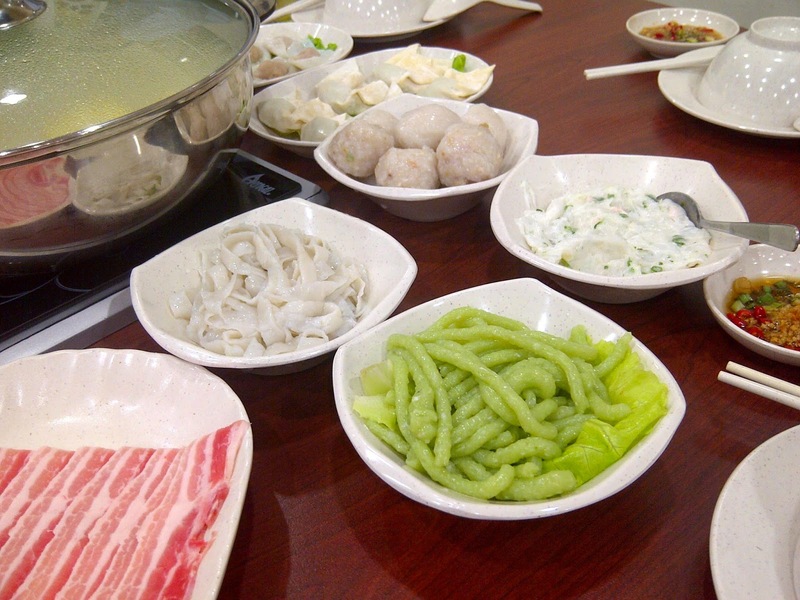 They have other fillings such as pickle cabbage with pork, prawn with pork, celery and pork and a few other choices. Overall, if you are adventurous or have cravings for simple and no fuss Northern China (Dong Bei) food, come and give this place a try. Typical Northern dish is heavily seasoned with strong taste, so if you prefer Chinese food that is lighter in taste and flavour, this might not be the place for you. Cheers !!! Raffles City Basement is food paradise. As a restaurateur you will like this place because the crowd is endless. There are office crowds during the weekdays and shopping crowds during the weekends. So if you want to know if you establishment is good enough or not, this is definitely the place to be. My other half actually notice this place a week before we visit this place. She bought the Banh Mi (Vietnamese toasted baguettes – Vietnamese version of Subway) for take away. The baguettes is fresh and crispy. The combination of pate, pork belly, pickled and fresh vegetables really give explosion of taste in your mouth. The best Banh Mi in Singapore so far. So as a reward for my Vietnamese homestay student for doing well this year, we decided to treat him to this place. This is a fuss free restaurant / bistro. The tables are set in rows and side by side to each other. There are also seating on the counter where you can see the chefs at work. So how is the food? We ordered the White cabbage salad ($5.90), Pho beef combination ($9.90) and Lime soda ($3). The white cabbage salad is more entrée, contain white cabbage, boiled chicken, fresh herbs, roasted potatoes and topped with sweet chilli dressing. It is refreshing, crunchy and you actually feel healthy eating this ha..ha.. The Pho Combination comes with beef steak slices, beef balls, beef shank, tendon, honey comb tribe. First taste, the soup. It is robust, clean with natural sweetness that comes from the long boiling process of the bones. The tendon and honey comb tribe is very tender, but with a nice springy texture. The beef steak slices is thinly slices and melts in your mouth. To sum up in one work is ….perfecto!!! The only thing that you need to watch out is the rice noodle. I find it a bit hard, I'll ask them to cook it longer or softer next time. Nam Nam claims that they do not use any MSG in their food. 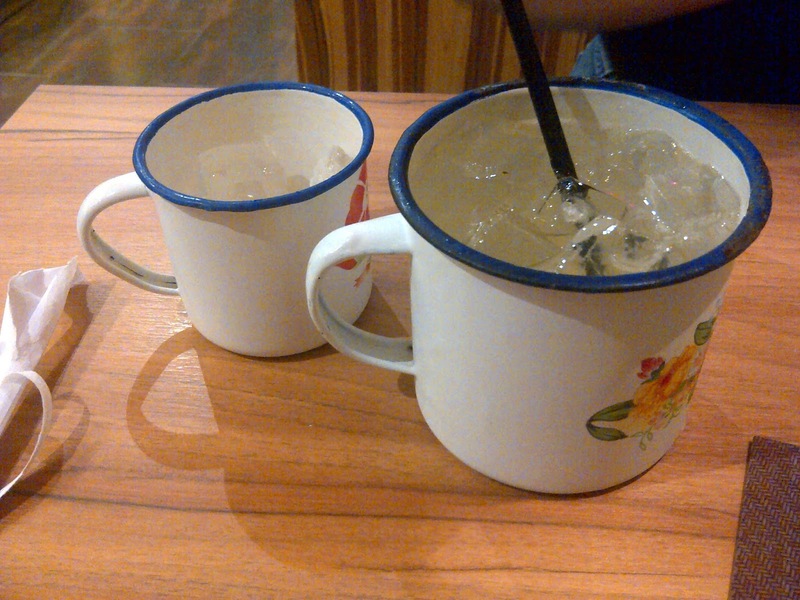 The lime soda is serve in old style tin cup. It really got kick, the sourness and sweetness is well balance. What a refreshing drink. Overall I find this place is very interesting. Really a Vietnamese style of fast food and healthy as well. The food is excellent and fast, the price is reasonable and inclusive of GST, no fuss service and no service charge. what else can you ask for. We'll sure be back for more and bon appetit!!! 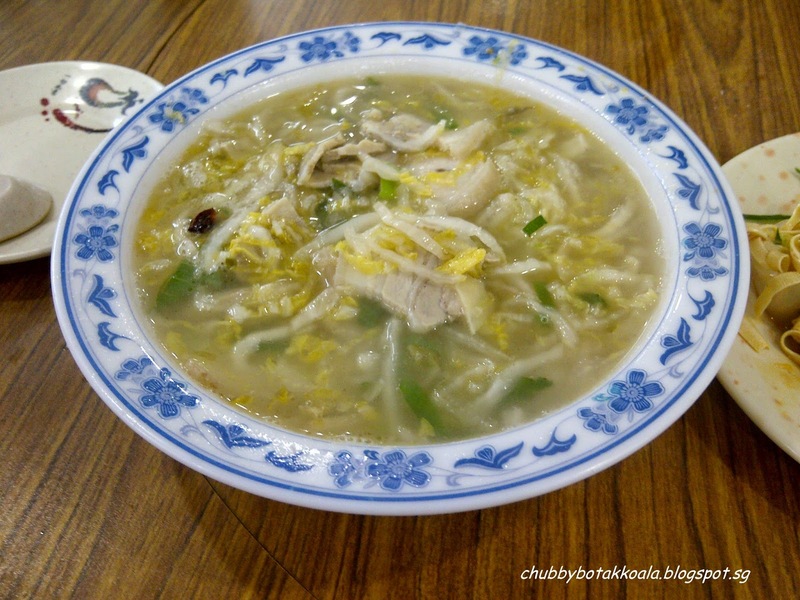 When it come to a Teochew restaurant, you can be assure of the freshness and the quality of the food. Thanks to HGW for the invitation for the food tasting. As I have been here before, I combine this review with the experience of my other visit previously. 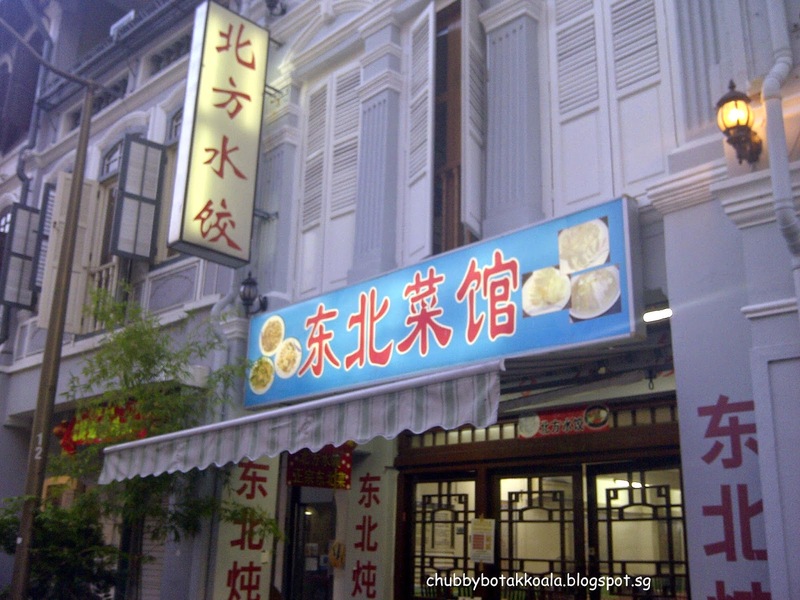 Teochew Traditional Steamboat Restaurant (TTSR) is located in the red light district / food paradise near Marine Parade, yup the famous Joo Chiat road. There are so many food establishment popping up here, the town council has stop issuing permit for a restaurant/cafe except for replacement only. 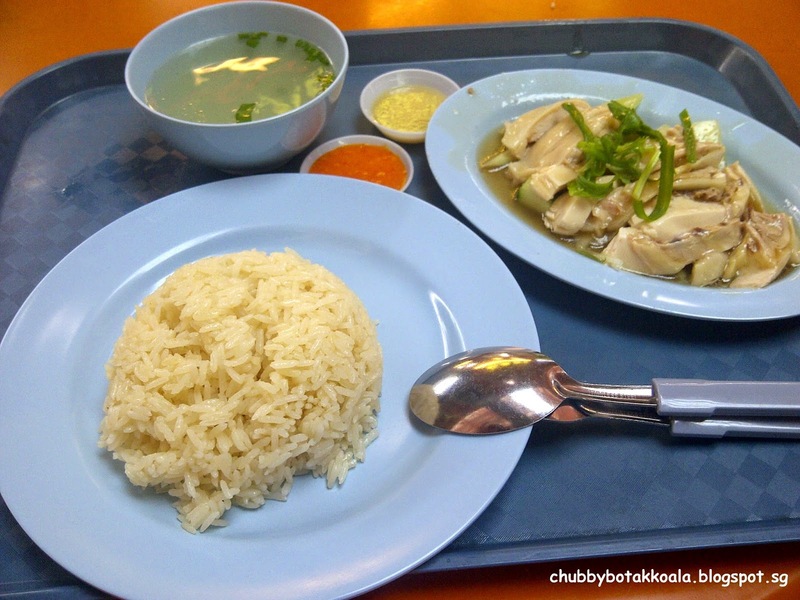 To be exact TTSR located opposite the car park of Kuan Inn Tng Temple in Joo Chiat Road. From the outside, you can see inside the restaurant through their glass doors and windows. The decoration is simple, clean and the restaurant is well lit. On the side of the wall, you can see the picture of ingredients of their steamboat. Before we proceed to the food, lets get this clear. This is a ala carte steamboat restaurant, not buffet. 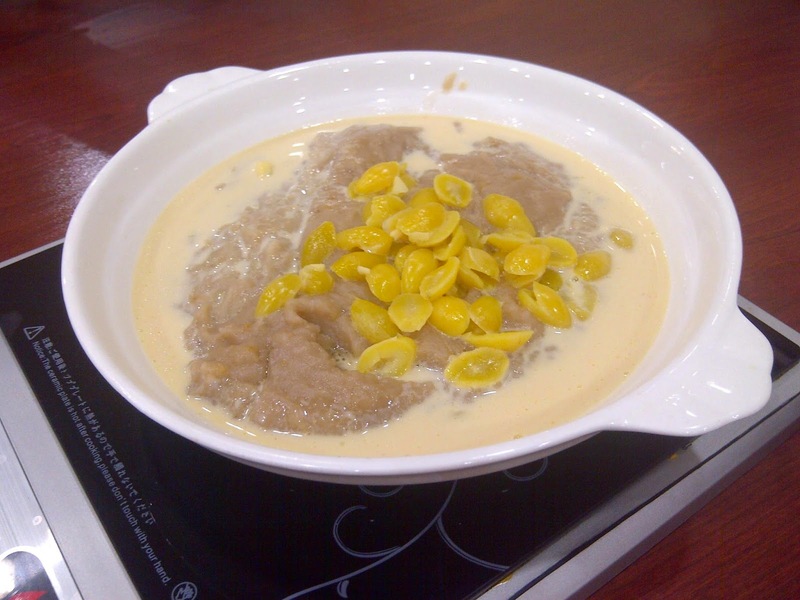 For starter, you only have one type of soup base which is TTSR special soup base. For the freshest ingredients, you can try their fish maw, glass prawn and silver promfret. 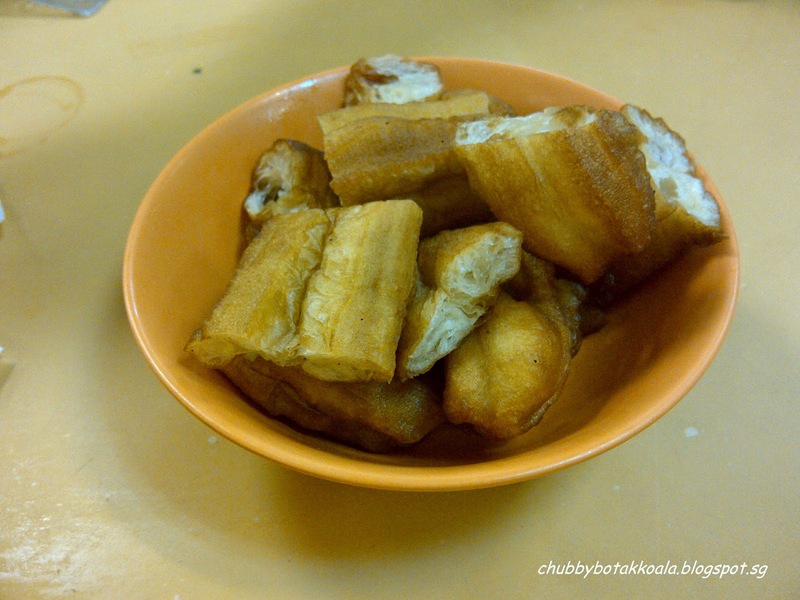 The fish maw is imported from Indonesia according to the owner. 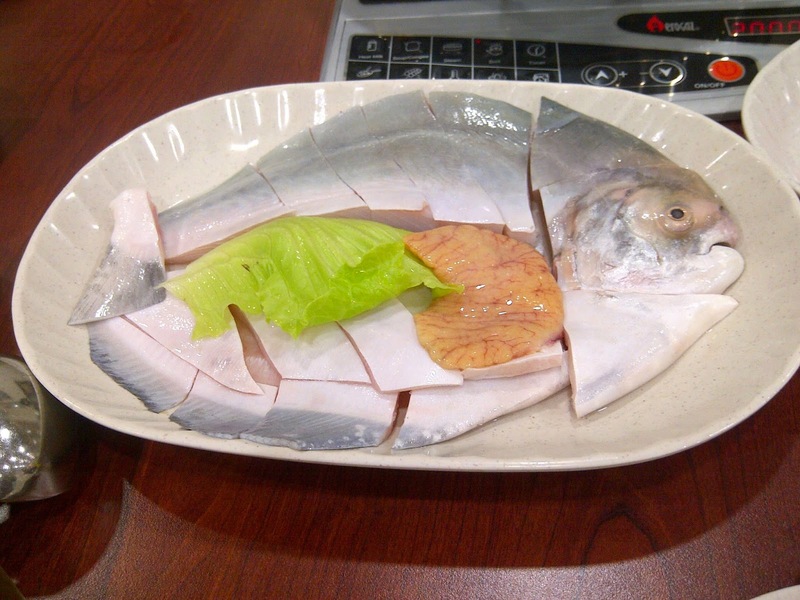 It is the square type that came from a bigger type of fish. The glass prawns and promfret taste so fresh without any trace of fishiness at all. For the homemade ingredients we tried: meat balls, fish balls, prawn wantons, squid balls, fish kuey tiao, Japanese crab sticks & spinach fish noodle. The fish balls has smooth and springy texture. To sum up the taste of the rest is they are fresh and full of flavour. There are two choice of chilli, their homemade chilli sauce or their chopped chilli with soya sauce and fried garlic. As I do not like chilli, according to the other food reviewer their chilli sauce really got kick. For the carnivore inside us, you can choose from USDA prime beef, pork belly and chicken. The beef and pork belly are top notch. 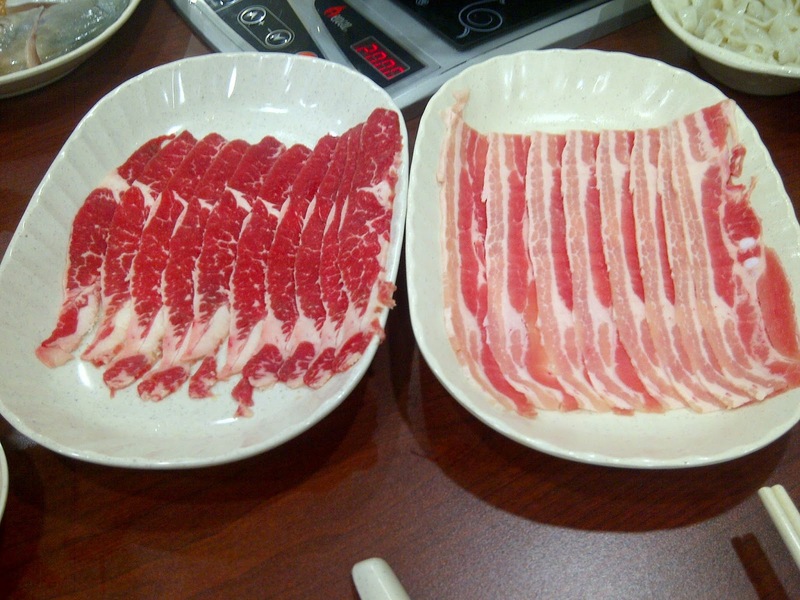 Check out the marbling in the beef and the pork belly just melt in your mouth after a quick dip in hot pot. 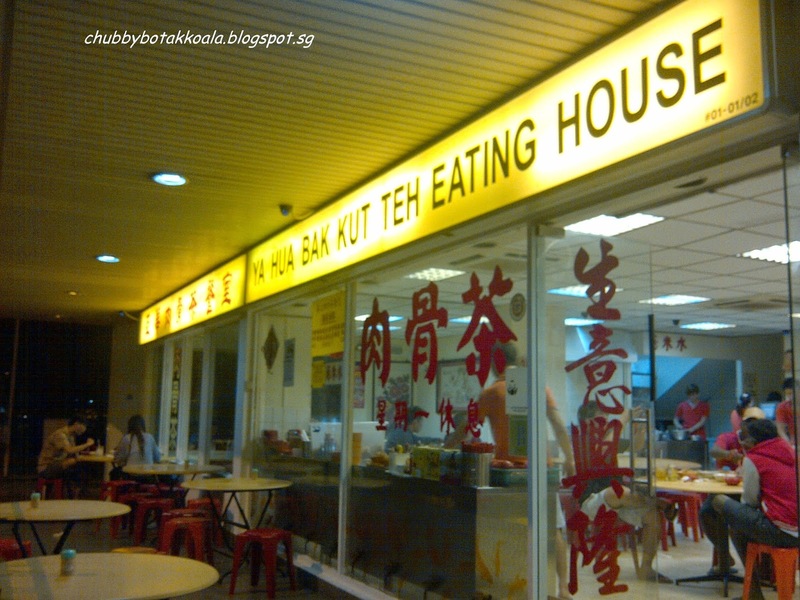 Aside from the steamboat, don't miss out on their TTSR famous dishes. The one that I always have for every visit is their deep fried pork knuckle. The skin is crispy and the meat is lean, juicy and tender. Yummyyyy. 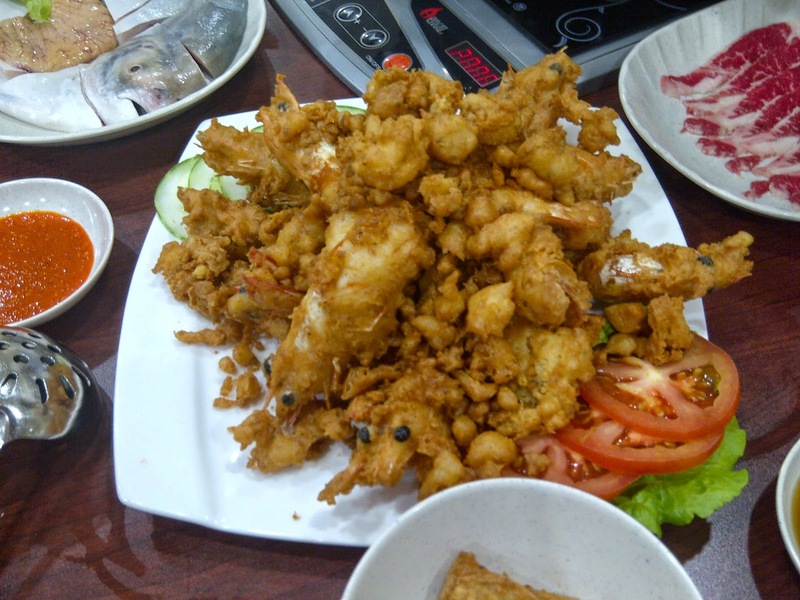 This time around I manage to try their Teochew style sea cucumber and deep fried prawn with garlic. 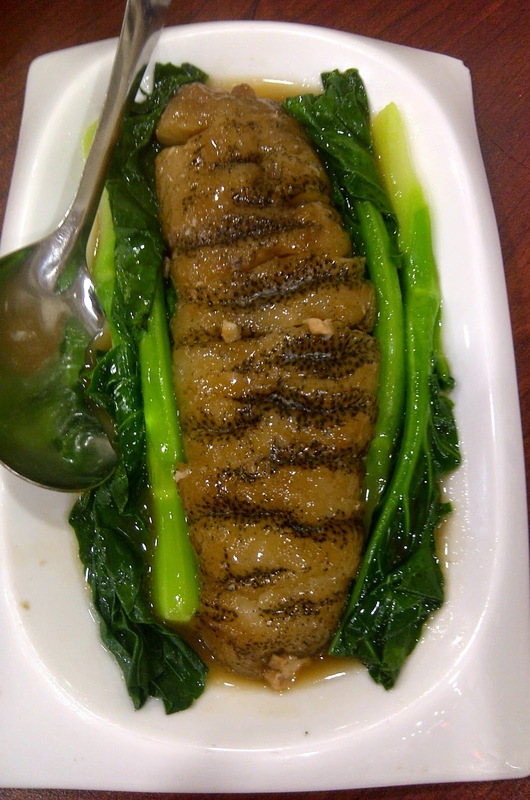 The sea cucumber has the springgy texture and succulent. The gravy is light and allow the taste of the sea cucumber to speak for itself. 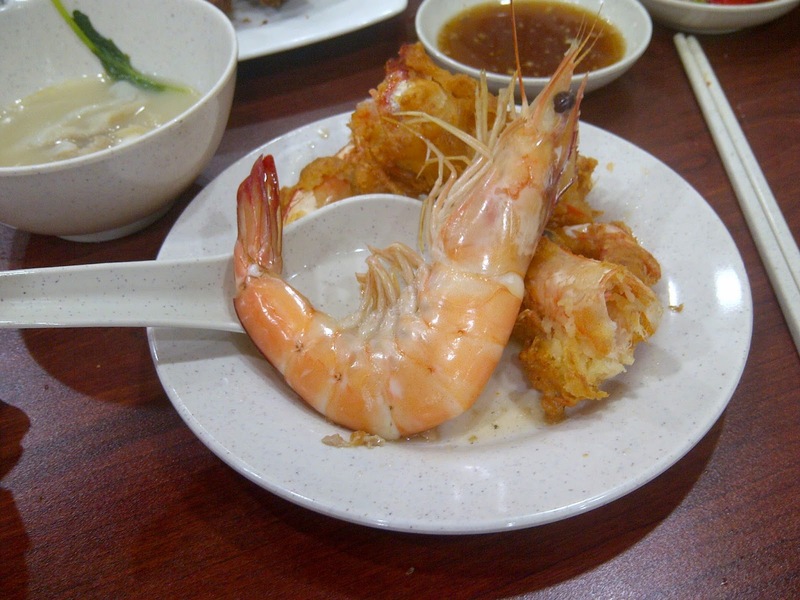 The prawn is fresh and goes well with the garlic flavour. 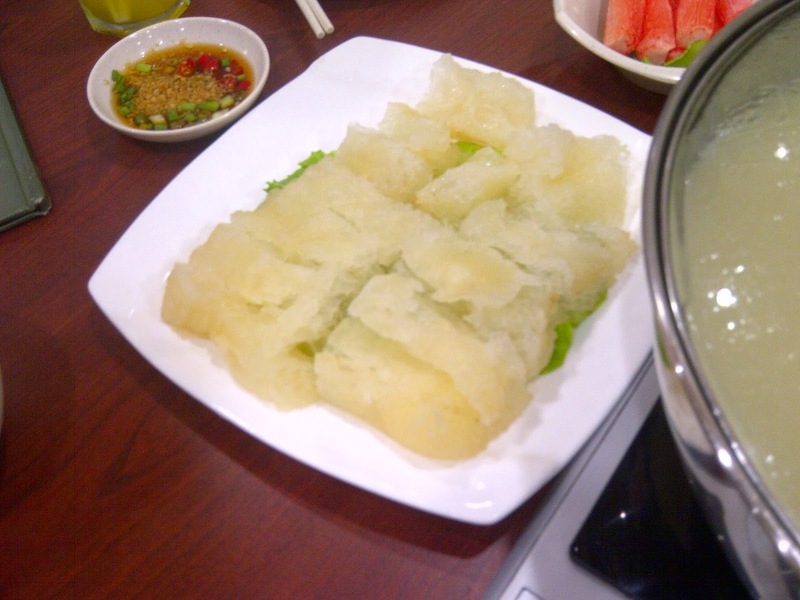 To close the meal in the Teochew restaurant, you must definitely have their Yam Paste with Ginko Nut (Oni). The yam paste is smooth and the sweetness level is just nice. The service here is fast and efficient. The price of the food also cover customer from different budget. 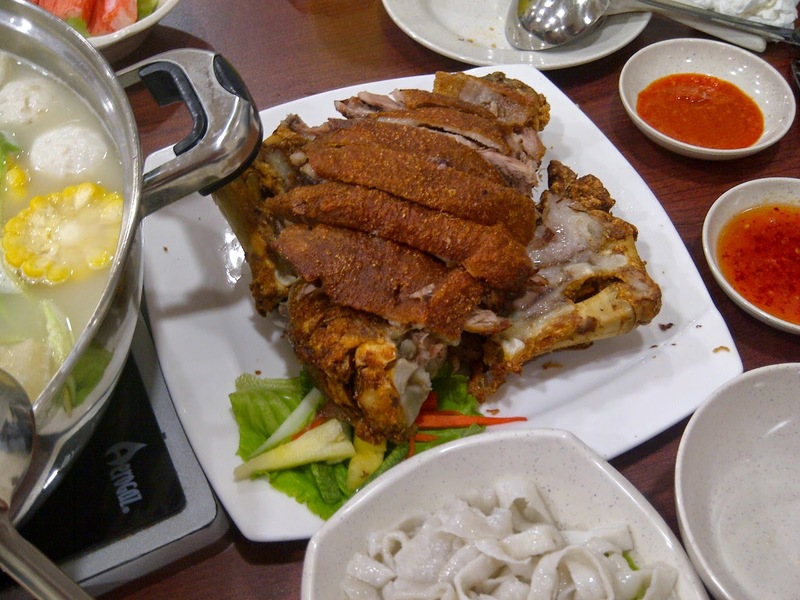 Overall, if you are near the area and looking for a nice, light, fresh and high quality steamboat and cooked food, this is definitely a place to try. If you don't feel like the steamboat, just order their cooked food. Being back to this place for a few times, it says about the quality of the food here. Yum Yum !! !